A very original wood wall clock that will match all the rooms of your home thanks to its astonishing design : its black face is protected by a wooden mesh showing two shiny golden hands. 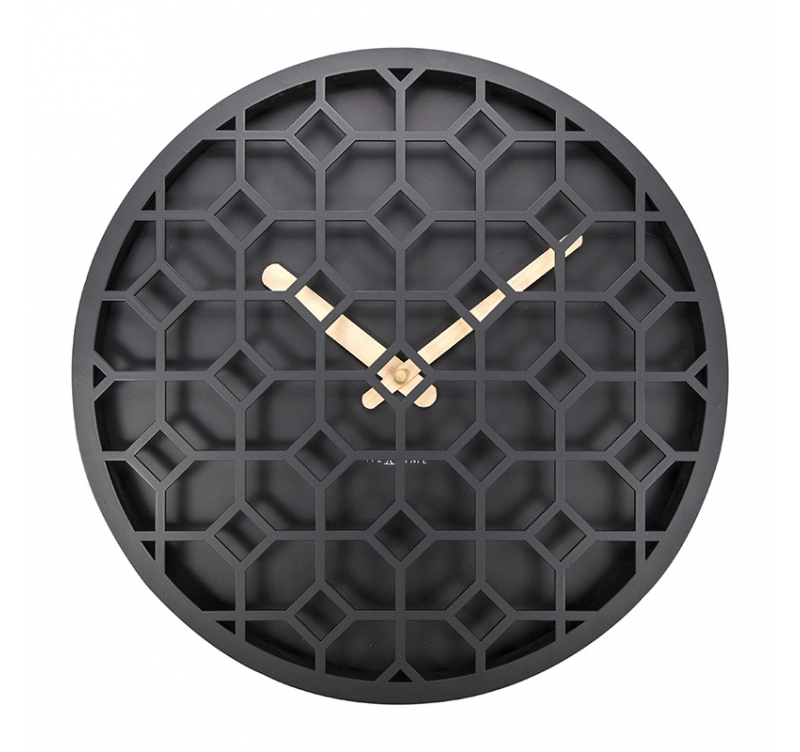 This original wall clock seems to be secretive as the two golden hands are brought out on the very deep dull black face and are preserved from our eyes by a black wooden mesh with geometrical patterns. The wood wall clock tradition is respected with the use of this noble material completely revisited to make a very up to date design deco object. 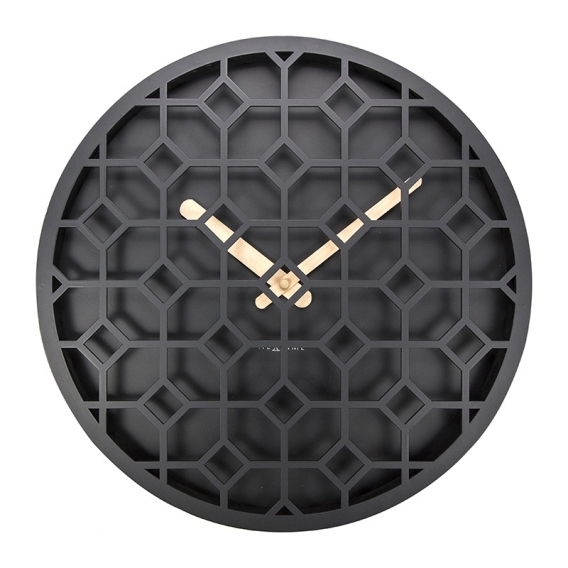 As easy in a living room or entrance hall, this modern wall clock will bring character to your interior deco. It will also easily keep its role as a kitchen wall clock should you choose to give some charm to your eating area. This wood wall clock can also be found in white with a different wood pattern.